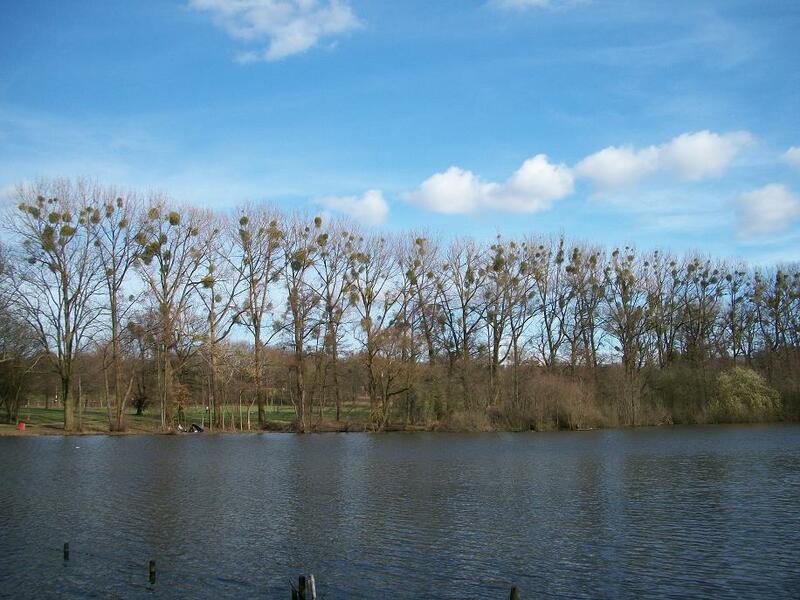 In and around Heerlen many trees, especially poplars, have tenants, namely the well known mistletoe. A lot of people take them for birds nests but they are half parasite plants growing on branches. The plants are protected in the Netherlands so it is strictly forbidden to cut some for Christmas. We are even not allowed to remove trees in which mistletoe is growing. Lovely blue skies and clouds and I love the reflections in the water and being able to see the bunches of misteltoe! Great shots for the day! Wishing you a very Happy Easter weekend! Thanks for your visit/comment! Always appreciated! That's so interesting about mistletoe being protected. Beautiful shots of the blue sky and I always love trees and water in shots. The mistletoe is also lovely in the trees. Your post about mistletoe is quite interesting. Here in Colorado it's exactly the opposite - since it's basically a parasite that kills the pine trees, thus creating a fire danger (although it can take years to do so), it's encouraged to either spray the mistletoe to kill it or to remove the trees entirely if they're too far gone. Wildfires are a very real threat out here (the first local one this week burned almost 200 acres of grassland). I love these trees...I am happy that they are being preserved so that people can enjoy them. What beautiful photos. Beautiful skies but like Al I am surprised. We consider mistletoe a pest and a killer of trees. Fantastic captures. Beautiful and scenic. Die maretak die hier overal te zien is, is werkelijk prachtig! Het blijft heel bijzonder het zo in de bomen te zien. 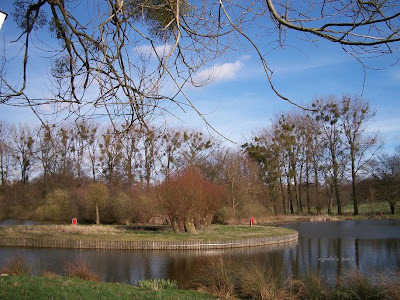 Hier staat een boom die eigenlijk alleen uit maretak bestaat. Leuk dat je de maretak in je foto's en verhaal hebt betrokken. Thanks for solving what to me was a mystery--I lived a year in Europe & thought they were squirrel nests! 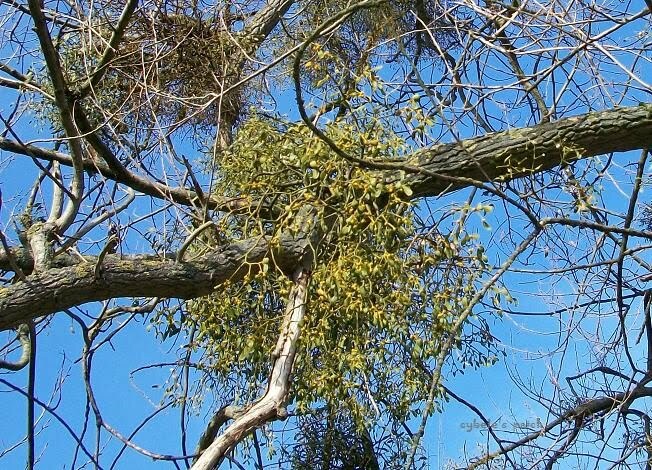 Here, our mistletoe species is considered a pest that ruins timber value.